← Dramafever Award’s 2015 Recap! Talk Table: Feat. Danny Jung and the Nutty Nomads! We have some super exciting news to share with everyone! 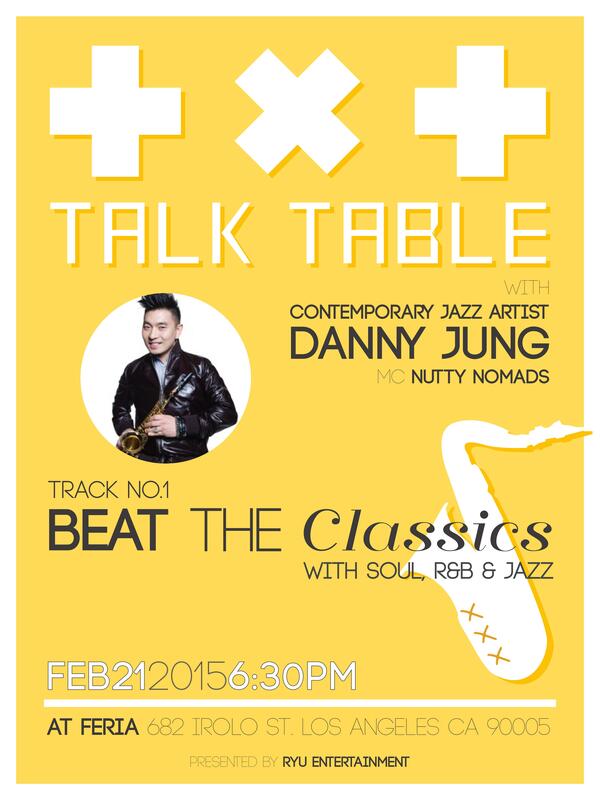 On February 21st, at Feria in Ktown, we will be helping launch the first of the Talk Table series! Talk Table is a platform for unconventional performances, where invited artists will not only perform, but also share stories and other talents with the lucky audience! 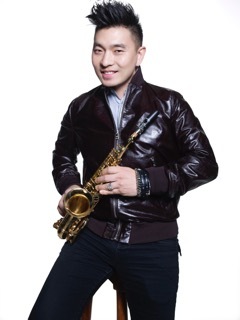 Presented by RYU Entertainment, this series will be kicked off by contemporary jazz saxophone artist, Danny Jung! He has appeared on famous Korean tv programs as well as had his music appear in OST’s for Korean Dramas. He will be performing a mix of Soul, R&B and Jazz for your listening pleasure! We will be acting as MCs during this unique event, and we’ll be chatting with Danny between his musical sets as well as connecting with all of you! So, don’t miss your chance to catch this great performer in Los Angeles! It will be a night full of fun and music! We actually are happy to report that we personally have tickets available for some of the best seats in the house! The seating configuration for this event is 4 seats to a comfy booth, so we would recommend attending in groups of 4 if you would like to be seated by your friends or family! Tickets are only $55.00 per person! Order your tickets here! Or, check out our post on Eventbrite to buy tickets online! Beverages and snacks will be available for purchase at the venue! Hope to see you all there!